Winners Dog for a 4 point major. Judge Jay Richardson. November 14, 2015. 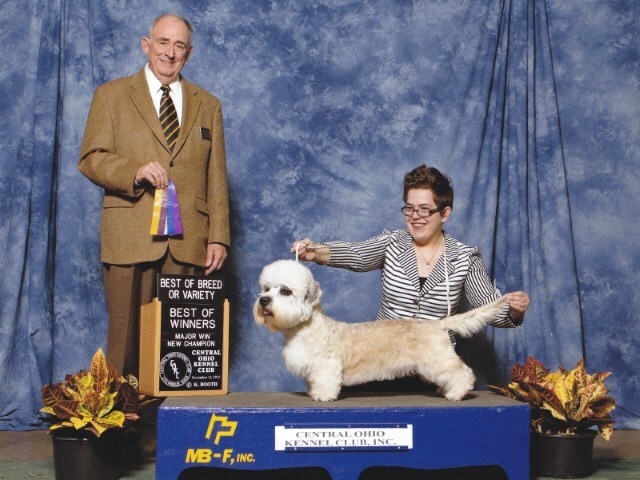 Dandie Dinmont Terrier Club of America Specialty. Best of Winners & Best of Breed for a 4 point major. Judge Joe C. Walton. November 15, 2015. 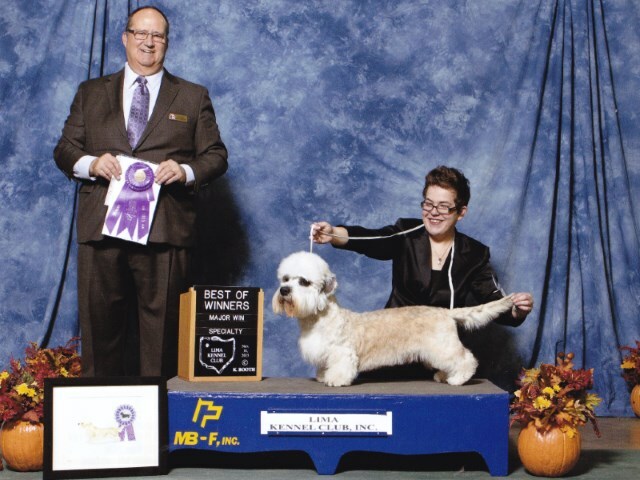 Central Ohio Kennel Club. Group 3. Judge Ms. Denny C. Mounce. August 30, 2015. Cedar Rapid Kennel Association. Best of Winners & Best of Breed. Judge Mrs. Peggy Haas. July 18, 2015. Burlington Kennel Club.